Members of the Hindi film industry came together to celebrate the best of Bollywood in the year 2017 at 63 rd Jio Filmfare Awards 2018, held on January 20 at the NSCI Dome in Worli, Mumbai. The starry night was hosted by Bollywood’s Baadshah Shah Rukh Khan, and his good friend and filmmaker Karan Johar provided him some company on the stage. While ‘Hindi Medium’ bagged honours in the categories of Best Film and Best Actor in a Leading Role (Male) for Irrfan Khan’s impeccable performance. Vidya Balan won her career’s sixth Filmfare award for her passionate portrayal of a middle-aged homemaker who turns into a radio jockey in ‘Tumhari Sulu’ as she claimed the Black Lady for the Best Actor in a Leading Role (Female). Ashwiny Iyer Tiwari won the top award of the night as she won the Best Director award for ‘Bareilly Ki Barfi’. 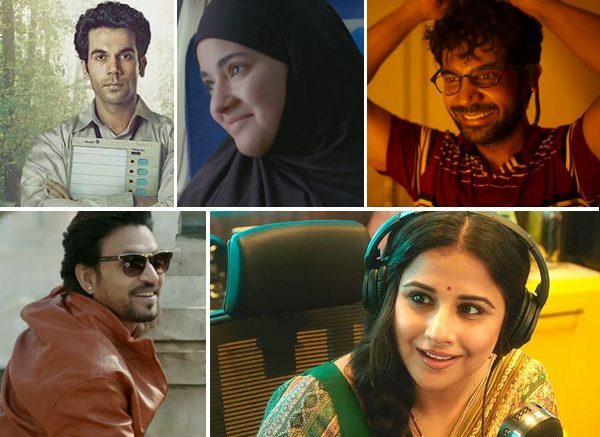 Here is the complete list of those who won big at the 63rd Jio Filmfare Awards 2018. Be the first to comment on "Winners’ list 63rd Jio Filmfare Awards 2018"